Theresa May and the EU have confirmed that the UK will remain within the bloc until 31 October, with the option to leave earlier if the PM secures support for a Brexit deal. European Council president, Donald Tusk said: “This extension is as flexible as I expected and a little bit shorter than I expected but it is still enough to find the best possible solution. Please do not waste this time”. The Prime Minister, who had wanted a shorter delay, said the UK would still try to leave the EU as soon as possible. Whilst not welcomed by all, this extension of the Brexit process to late October will avoid an abrupt ‘no deal’ scenario and will calm the farming industry's fears over the consequences of such an exit. The Country Land and Business Association (CLA) said that in a political debate which has become 'heated and polarised' the announcement by May provides 'welcome breathing space'. CLA President Tim Breitmeyer said: “While the continued uncertainty is unsettling, this should be balanced against having enough time to nurture a post-Brexit relationship with the EU which delivers as free and frictionless trade as possible. This has to be the ultimate goal. “The extra time needs to be used wisely. We need a more consensual approach to negotiations in both Westminster and Brussels than has been the case to date, so a deal can be collectively delivered which meets the needs of farming and the wider economy,” he said. 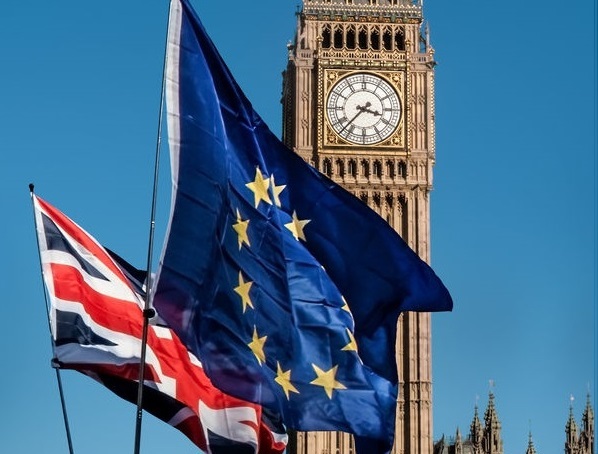 The Food and Drink Federation (FDF) added that the sector is 'mightily relieved' that the 'threat' of a no-deal Brexit has been lifted. Ian Wright, FDF Chief Executive said: “The additional time must now be used wisely. Government and Parliament simply must give us a coherent plan to lead us out of our current mess. The National Sheep Association (NSA) said it is 'cautiously embracing' the news, adding how the announcement provides sheep farmers 'more certainty' surrounding meat sales this spring and summer. Meanwhile, four UK farming unions have written to major European agricultural groups stating that a no-deal exit from the EU would be 'economically disastrous'. In a joint letter, the unions have pleaded with their counterparts in Europe seeking support in avoiding a no-deal scenario as the UK faces ongoing division amongst politicians and continued uncertainty. The Presidents of the NFU, NFU Scotland, Ulster Farmers’ Union and NFU Cymru say it is in 'every nation’s interest' that the UK avoids a 'catastrophic, disorderly' exit of the UK from the EU.